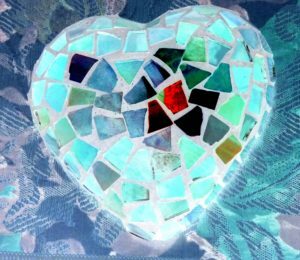 I was drawn out of myself by love during the 2018 Course in Miracles Conference (CMC), mainly by one person or another, or by different configurations of people engaging in dialogue. But I was also “drawn out” by the quirkiness and inclusion of this particular conference, a conference hard to describe to anyone who has never attended one. 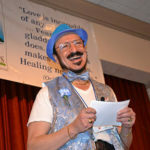 The organizers are dressed in sparkly vests and hats and have been known to disrobe from time to time in controversial and revealing ways of sharing vulnerability and forgiveness. In the spirit of all this weirdness, no one questions being led in song by a man whose voice croaks (Rev. Tony), or having a Mick Jagger-esq performer (Rev. Rudy, who definitely can sing) strut the main aisle. It is a dramatic display, birthed primarily from the creative zeal of Rev. Tony Ponticello, who’s genius, once you get familiar with him (which you can’t help but do) is a blessed force laced with comedy and control. You can’t help it. You are drawn out of yourself by love. From within my quiet life, I am not particularly eager to participate in such events ahead of time—and must recover afterwards. This is my third CMC Conference though, and I’m feeling now that I’m beginning to hit my stride with the things—with their over-the-top nature and the intensity of it all. I actually enjoyed myself and was “in joy” over the people I got to meet and to know on a deeper level than I imagined could occur. One of my favorite contemplatives, Thomas Merton, first spoke to me of “being drawn out of ourselves by love.” He also speaks of love as a “happening.” I spoke during the conference of the three things I feel most surely bring us out of the sphere of subject/object relating and into the sphere of happening: sharing, dialogue, and creation of the new. They all happened there—in San Francisco. These ways ask us, no matter our proclivity for solitary pursuits, to remain open and available to human encounter and exchange, and to embrace tolerance over fundamental beliefs. The conference is serving now—sort of sneaking up on me to serve as a touchstone to the question that I’ve been hanging out with since November when, for various reasons, the busyness of my life increased, and my creative/contemplative time decreased. When I get away from that zone of deep interiority, I admit that I feel away from myself and my way of being. Then I begin to yearn for it. Strangely enough, what I feel in that deeply interior place, is similar to what I felt at the conference. It is a spacious place where I am the same as everyone else…and most uniquely me. How that can be I cannot say, but I can feel. It has to do with the way that art is one person’s expression and yet has a universal voice (which is what makes it art). It is the way that we are many and that we are one. It is the way of our Creator’s love. Never is one loved more than another, yet each are loved for who they are. This is, and was, a great breeding ground for connection and dialogue. I left San Francisco with a list of folks interested in engaging in dialogue, and with a sense that dialogue thrived in that “coming together” atmosphere that crossed boundaries of thinking, loyalties, and solo reasoning. 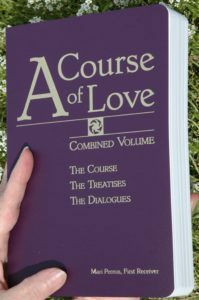 A dialogue between ACOL and ACIM—has begun. 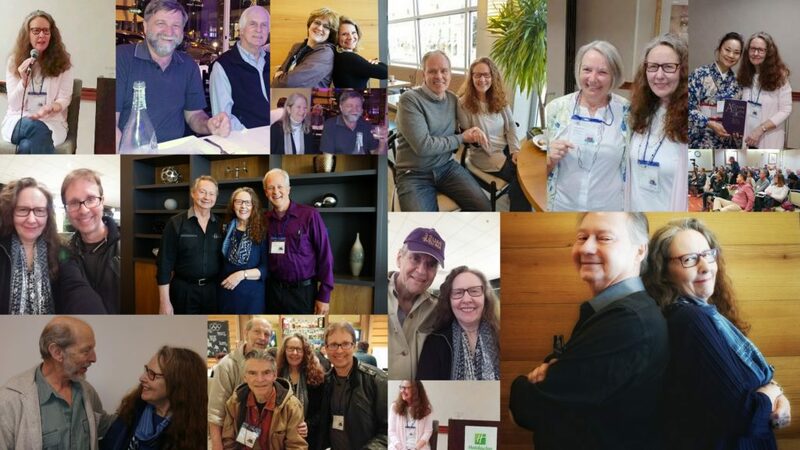 The dialogue between those of us representing ACOL and the publishers of the Course in Miracles Society (CIMS) edition of ACIM, (often referred to as the “original” or “pearls” edition)—felt like a reuniting, and a dialogue between those wedded to the “standard” (FIP) edition and those who embrace the original scribing was furthered. We are drawn out of ourselves by love. [I]t will matter that someone will look at you and see that you are not so different than he or she. It will matter that someone will look at you and be drawn to the truth of him- or herself that is seen reflected there. What I am saying is that your differences can serve our purpose until differences are no longer seen. What I am saying is that you can remain confident in your personal self, knowing that your personal self will serve those you are meant to serve. What you have seen as your failings or weaknesses are as valuable as are your successes and strengths. What has separated you will also unite you. How I love to read your words Mari. Thank you! Brilliant! And thank you for reading, Rose! I just love this! Thank you Mari! Nice to hear from you Eliot! started work on your holy water fount , it is taking a while to get a solid design in imagination or where ever it is much love and gratitude . On 4th reading and am so different but the same. Stewart [met at Paula Hardings get together.] It was a fleeting moment so no worries if u don’t remember. Of course I remember. I even watched the movie you recommended: Collateral Beauty! Thank you for that recommendation and your remembrance of my love of holy water fonts. Hello Mari, watched your vids of the conference. Most inspiring! The astute will take notice of where the dialogue is coming from, not necessarily what is being said. You brought up a couple very good points also! Thank you for your time and energy.